James Yardley writes, my dad Mike has spent years researching shooting's history and few rival his knowledge and expertise. 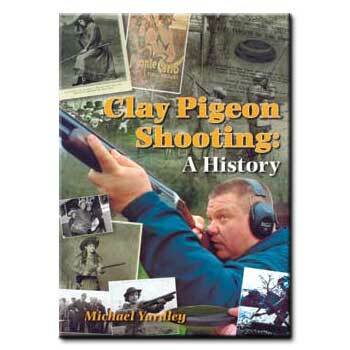 He wrote this book on clay pigeon history which took four years of work. He has also written much on the history of guns and the history of game shooting (see the BASC Guide to Shooting Game). Recently, he has been a prominent defender of shooting in the media, fighting against the heavy bias shooting often faces. He campaigned strongly against the 1997 firearms ban. He also stood in the 1997 election representing the Sportsman Alliance party in Putney where he helped to oust the sitting MP David Mellor. Mike continues to be regularly interviewed for radio and television and has recently been a guest on the Jeremy Vine show BBC Radio 2 several times.